Michael Golden: SDCC 2016 Exclusives! Eva Ink Booth 1509! Available for Pre-order! Announcing Michael Golden SDCC Exclusives! 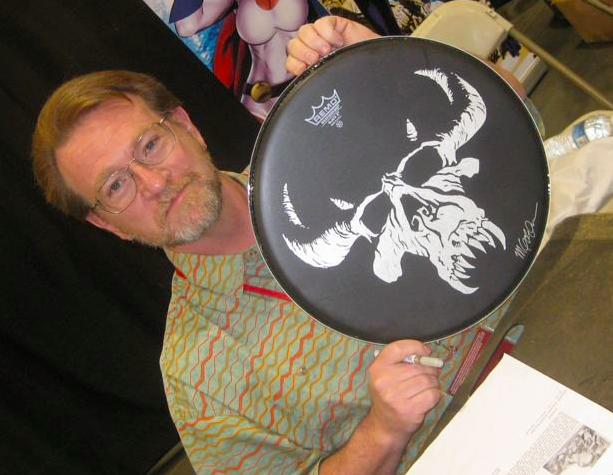 Artist, Michael Golden will be located at the Eva Ink Artist Group booth at SDCC this year. Booth Number 1509. We are offering several very limited and collectible exclusives to mark the first year of the Eva Ink Artist Group Booth at SDCC! 1.) LIMITED EDITION T-SHIRT--You may recognize the image, but chances are that you probably didn't know the artist-- Yup, it's a Golden original and always has been. So now is your chance to wear it proudly on this limited edition tee, (marking the first time the artist will ever have been paid for a shirt sporting this image!) Very limited quantities in M, L and XL. $25. 2.) 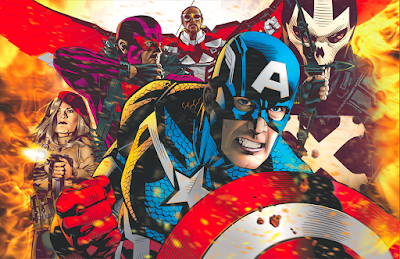 Captain American “Civil War” #1 Variant Cover. Movie tie-in cover. Signed and Numbered to only 500 copies for this event. Includes a certificate of Authenticity. Available for $50. while they last. 3.) Captain American “Civil War” #1 Variant Cover WITH SKETCH. Available as time permits. Pre-orders welcome. 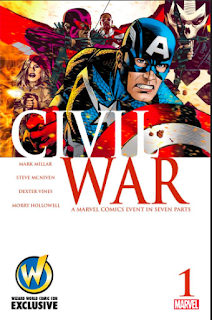 The “Civil War” variant featuring the head sketch remark of your choice. $125. Includes certificate. Signed and Numbered. 4.) 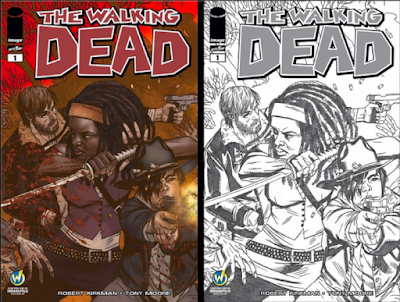 “Walking Dead” #1 Variant Michone Cover. Color. Signed and Numbered to 50 copies. With COA. $80 at this event only. 5.) “Walking Dead” #1 Variant Michone Cover. Black and White Sketch Edition. Signed and Numbered to 50 copies. With COA. $80 at this event only. 6.) 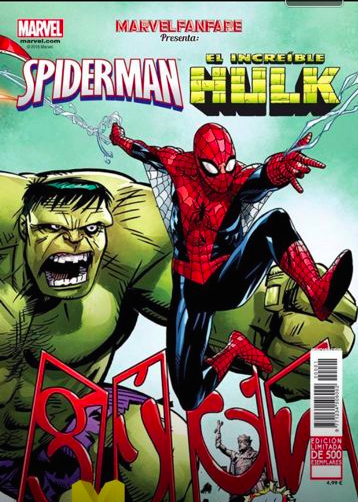 “Marvel Fanfare” Spider-Man/Hulk cover. Variant. Limited Spanish Edition. Only 500 made and only 50 available at this show. $40. signed and numbered with COA. 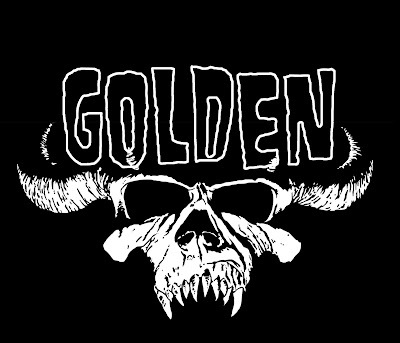 And YES, the story inside is the original classic by Michael Golden, featuring Golden's original coloring! 7.) 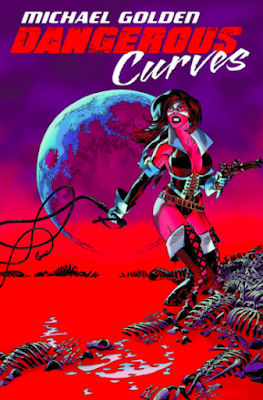 “Dangerous Curves” Hardcover sketchbook. Signed and Numbered with COA. Only 30 available at this event. $40. 9.) Michael will also be doing limited amounts of sketch requests at the show (pencils with inks), as time permits. 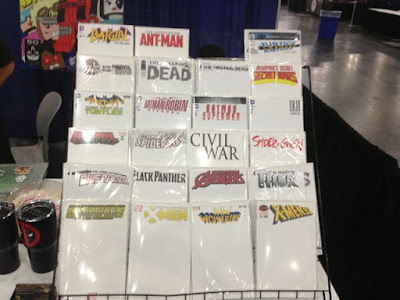 On his paper or blank comic covers. If you'd like to be on the sketch list and pre-pay for your con art, please e-mail below. Or come by the table and inquire about scheduling. In addition, if you would like to pre order any of the product or art listed above, contact Renee at: evaink@aol.com. We accept paypal and credit cards and you can pick up your orders at Booth 1509 on the show floor all weekend long. For other questions, again, contact us at: evaink@aol.com, and hope to see you at the show!